A comfortable, newly refurbished, self-catering cottage set on a working livestock and arable farm, situated in the quiet hamlet of Layer Marney to the south of Colchester. Ideally located for the magnificent Layer Marney Tower (under one mile) and close to Wilkins & Sons Jam Factory at Tiptree. 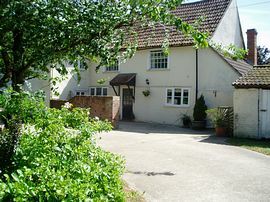 The property is self-contained and adjoins the owners farmhouse. It boasts a spacious double bedroom with down-filled pillows and crisp white bed linen, a galleried landing and over-looking the duck pond. 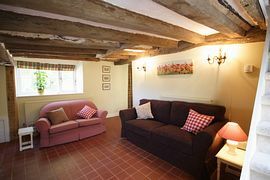 The sitting room has an additional double sofa-bed, which comfortably sleeps two adults. 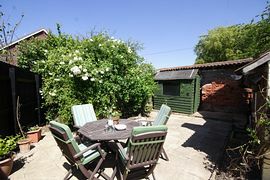 There is a well equipped kitchen, conservatory dining room, bathroom with shower over the bath, private courtyard area with garden furniture plus barbeque and ample parking. 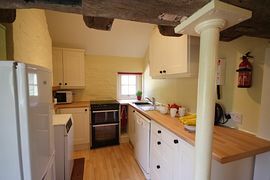 Brimming with character and original features, the property is beamed throughout and includes Freeview TV, DVD player, i-Pod dock, DAB radio, microwave, fridge-freezer, full-sized electric oven dishwasher and automatic washing machine. Available for short breaks and holidays for up to four people (plus travel cot) for weekends, short-stays or weekly bookings. Other nearby attractions include: the historic towns of Colchester and Maldon, Colchester Zoo, Abberton Reservoir, Mersea Island, Braintree Freeport, Coggeshall Grange Barn and Paycockes, Cressing Temple Barns, Dedham and Constable country to name a few, and all within one hour from London. The area is perfect for those wishing to relax and unwind or to explore the wide range of wildlife and other activities available in this area of Essex. The local, quiet country lanes are great for walking and cycling. Ideally located to Layer Marney Tower. Bed linen (duvets), bath & hand towels, tea-towels. Private courtyard garden area, garden furniture and barbeque. Local Services: Shops & Pub 2 miles. Close to Layer Marney Tower, Tiptree, Colchester, Maldon. From the B1022 Colchester to Maldon Road, turn left down Roundbush Road in Birch, turn right at the crossroads. Thorringtons Farm is the first house on your left, use the second drive entrance and park in front of The Buttery. See map. 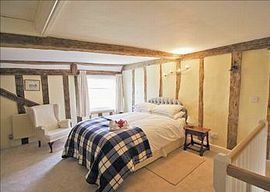 3 or 4 night breaks from £210.